The guest commentary below was written by Jesse Felder of The Felder Report on 10/18/18. A while back I wrote about what I believe to be the single greatest mistake investors make. Well, it turns out this sort of extrapolation is also the single most popular investment methodology there is. As Robert Shiller wrote for the New York Times over the weekend, “People tend to believe that recent trends will continue, whatever they may be, and then, when things shift, they change their expectations again.” In other words, recency bias reigns in the market as investors are really not much more than momentum traders. But even when investors try to break out of this trap they tend to cling to just one investment or trading methodology that leaves them with a variety of other blind spots. For example, a technician who relies entirely upon charting signals may miss important fundamental developments integral to the price action. Conversely, a fundamental investor may miss signs in the price action that suggest there is something missing in her analysis. Likewise, a contrarian investor oblivious to both fundamentals and trend can be run over by the crowd even if it’s only momentum driving it. Worse than relying on just one strategy is relying on just one signal to implement it. This might mean a fundamental investor who uses just one valuation tool like a price-to-earnings ratio despite all of its various limitations. Or a technician who uses only one indicator like RSI and only on one time frame. 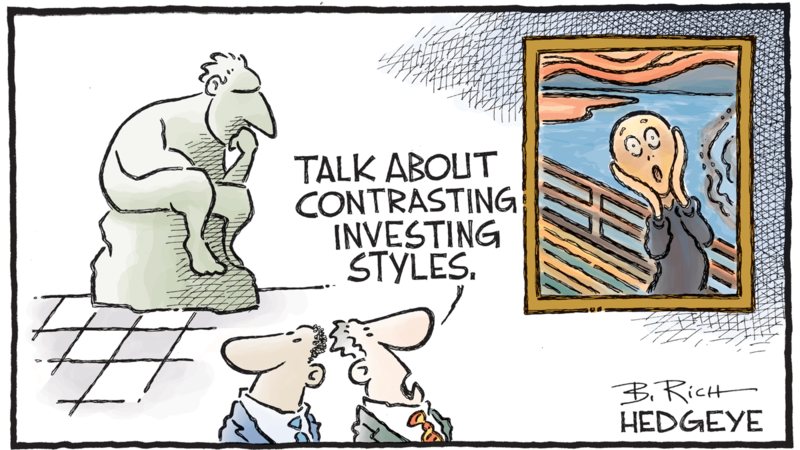 Or a contrarian who uses only the commitment of traders report to form an opinion on sentiment. One recent example of this was the number of self-styled contrarians pointing to the large short position in the treasury market as a bullish omen. Clearly, they were not aware of the fact that the technical trend in price was clearly down and that the fundamentals, namely rising inflation and simple supply and demand, were not supportive of the bull case. What’s more, there were tons of other sentiment signals that suggested investors weren’t really very bearish on bonds at all. This narrow view bulls took of the treasury market proved painful over the past few months. The remarkable performance in the United States stock market since 2009 and in the housing market since 2012 are a result of a newly emergent belief system, reinforced not just by presidential statements or even by tax cuts but by a psychological dynamic that operates according to well-defined psychological principles, based, erroneously, on the belief that past growth in market prices is strong positive evidence for more growth in the near future. These momentum investors, whether they practice it consciously or unconsciously (as a result of recency bias), are clearly overlooking the fact that fundamentals are not supportive of continued outsized gains nor are the technicals. And their unwavering belief otherwise may prove to be a wonderful bearish contrarian signal. Either way, investors should strive for a much more holistic view if they want to try to avoid the sort of blind spots that lead them into some very obvious pitfalls.